TEF: How did you get the business idea? Etiobhio Samuel: My business Idea came from suggestions from fellow colleagues who knew I was very good at this and urged me to turn it to a business outfit. Initially, I had taken it strictly as a hobby. I began training young students in this field who are even better than me right now. I currently have 15 employees. ES: Magnum Arts is strictly involved in Portrait painting especially using the pastel medium. We paint and frame accordingly and try to meet clients’ needs as quickly as possible. We are also involved in training young talents in this field and sponsoring up to university level. 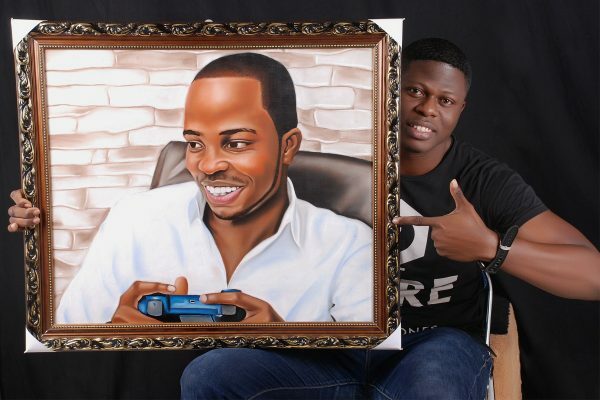 The company has made portraits for a couple of Nigerian Celebrities in the movie and music industry. Top for us is the portrait presented to President Muhammadu Buhari at the Aso Villa. ES: Magnum Arts is involved in the training and empowerment of young artists. We plan to establish art clubs in various secondary schools of the state where we are based- Edo State. We organize inter university art contests of which cash prices given out to winners. 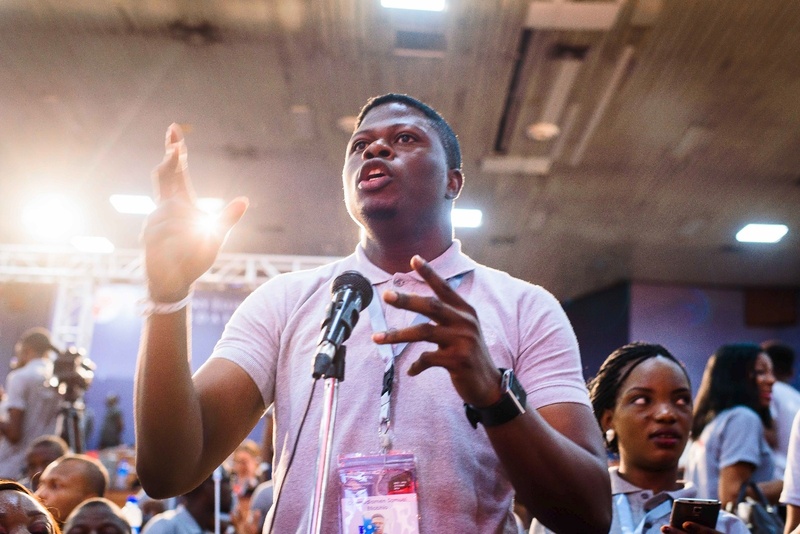 TEF: The TEF forum this year was extraordinary for me. It was the best thing that happened to me this year. I learnt a lot! I would have used over $1500 to learn in various international business schools but it was all handed to me on a plate of gold. I learnt how to pitch better, which has helped me so much. Learnt better ways of rebranding, packaging and most importantly keeping my clients. The title ‘Tony Elumelu Entrepreneur’ opened business doors for me. After completing the 12 week intensive training, I was invited to Aso rock for an interactive session with Mr President and where I also made an art presentation to his Special Adviser on Media and Publicity, Mr Femi Adesina on his behalf. They were so glad I was a Tony Elumelu Entrepreneur. At the forum, I was wowed by the series of Master classes as well as the various success stories from previous entrepreneurs and I promised myself to be a part of it. I want to be a little Tony Elumelu in my state. Posted in Interview & Speeches and tagged Africa, Elumelu, TEF, tony elumelu, Tony Elumelu Foundation, Tony Elumelu Foundation Award for Business.